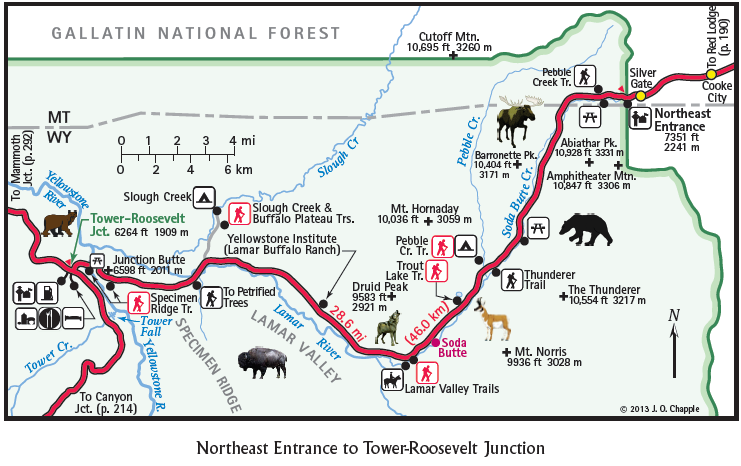 On Friday, March 8, visitors observed a large grizzly bear between Canyon Village and Fishing Bridge. 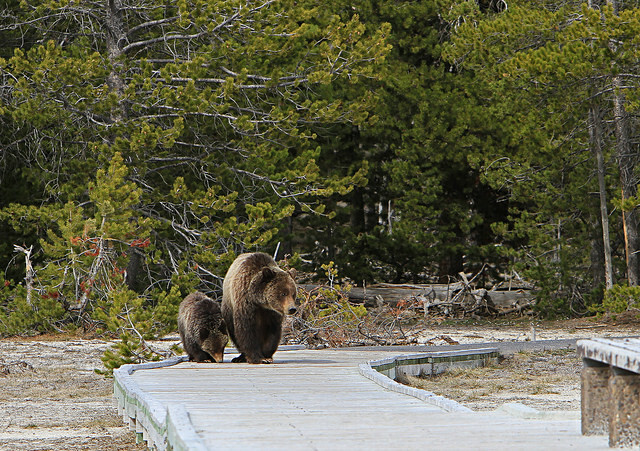 Three days later, grizzly tracks were reported between Mammoth Hot Springs and Norris Junction. 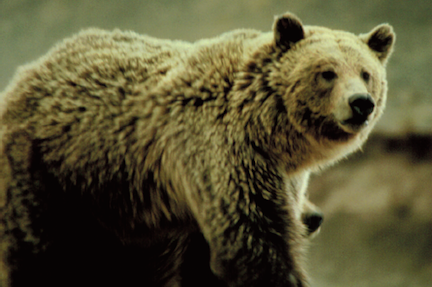 The boars (male grizzlies) come out of hibernation every year during mid to late March, while the sows and cubs take until April or early May to emerge. Hike in groups, stay on maintained trails, and make noise. Avoid hiking at dusk, dawn, or at night. Keep 100 yards away from black and grizzly bears. Use binoculars, a telescope, or a telephoto lens to get a closer look. 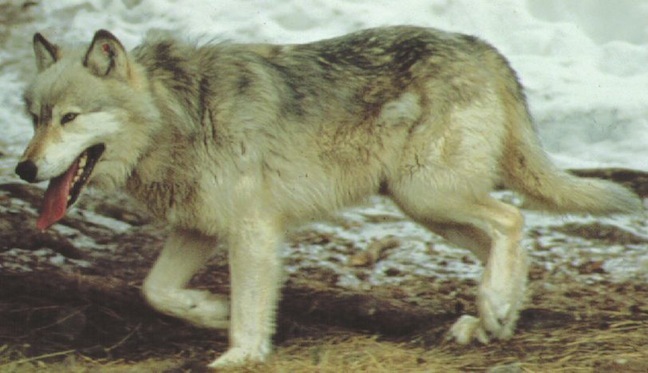 Store food and garbage in hard-sided vehicles or bear-proof boxes. 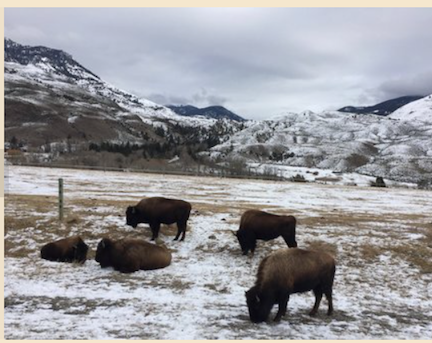 Credits: Thanks to Pam (@D0bby), destination expert for Yellowstone National Park for Trip Advisor, for the heads-up about this news. 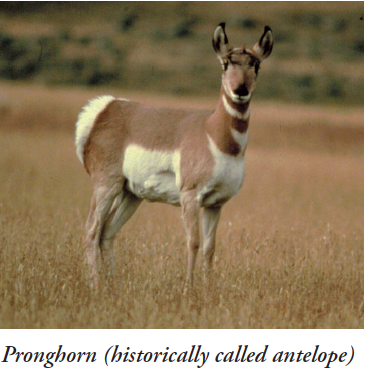 Photo, courtesy of NPS, can be seen on page 344 of Yellowstone Treasures. 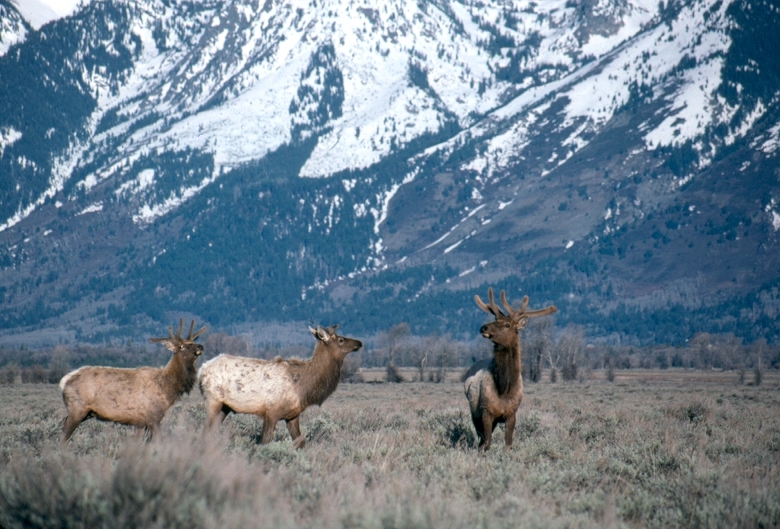 Which is your favorite national park and why? Leave us a comment. I confess to having missed Endangered Species Day, which was May 20th this year. But I see that the Endangered Species Coalition has an extensive reading list for young and adult readers, including wolf books for children. For adults, it includes a favorite of mine, The Song of the Dodo, by David Quammen, the renowned author who just wrote the text for National Geographic’s May issue on Yellowstone. Then there’s a book I would like to read, The Future of Life, by one of our wisest scientists, Edward O. Wilson. The fate of the grizzly bear population in the Greater Yellowstone Area is a serious matter on the verge of being decided by the courts. People who live, work, hunt, or frequently visit the area are closely following the controversy over listing / delisting the great bears. An excellent article appears in the May 16th issue of the magazine High Country News. 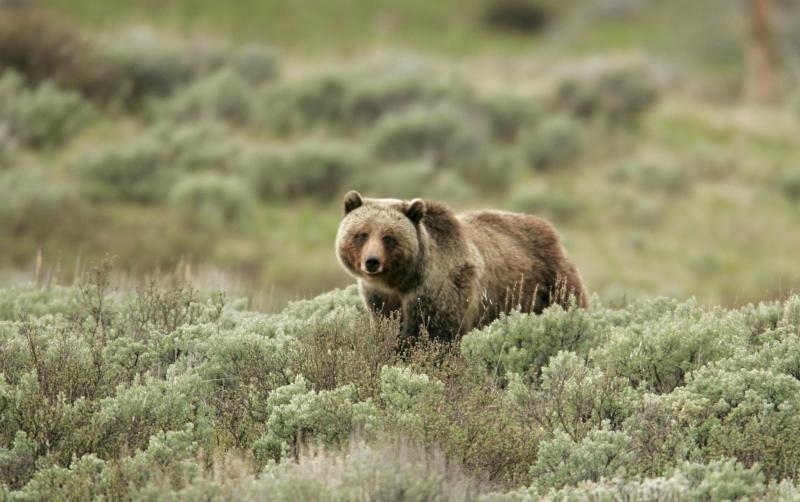 Carefully researched and written by environmental journalist Gloria Dickie, her article puts the whole problem of managing grizzlies in perspective. Grizzlies can live about twenty-five years in the wild. 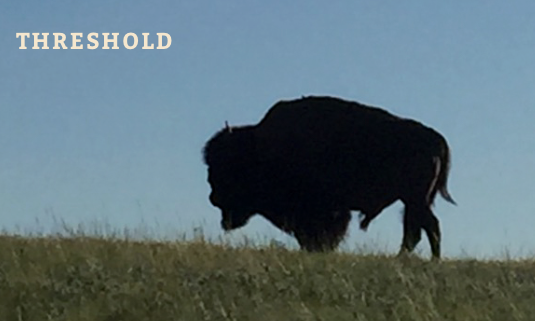 There are now 717 in the Greater Yellowstone Ecosystem by a recent estimate and 960 in the Northern Continental Divide Ecosystem (in and around Glacier National Park). 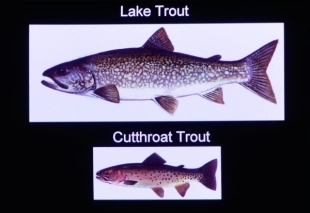 Environmentalists would like to find a way to bridge these two populations for their genetic health. Meanwhile, others with strong opinions about whether or not the bears should be delisted include hunters, outfitters, photo safari guides, and Native American Indian tribal leaders. Chris Servheen, U.S. 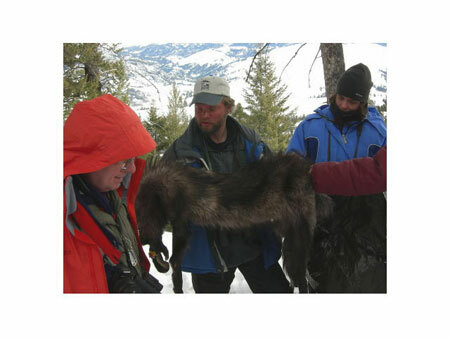 Fish and Wildlife grizzly bear recovery coordinator, believes the recovery level of grizzly bears reached as of now more than fulfills the goals of the Endangered Species Act. The bears’ recovery is “the greatest success story of all,” he says. The controversy continues, but for comic relief here is a bit of (definitely not politically correct) historic humor that appears in my new collection, Through Early Yellowstone. This took place in the first decade of the twentieth century. The most ridiculous and laughable performance ever put up with a wild grizzly bear as an actor was staged by Col. C. J. (“Buffalo”) Jones, when he was superintendent of the wild animals of the Yellowstone Park. He marked down for punishment a particularly troublesome grizzly that had often raided tourists’ camps at a certain spot, to steal food. Very skillfully he roped that grizzly around one of his hind legs, suspended him from the limb of a tree, and while the disgraced and outraged silver-tip swung to and fro, bawling, cursing, snapping, snorting, and wildly clawing at the air, Buffalo Jones whaled it with a beanpole until he was tired. With commendable forethought Mr. Jones had for that occasion provided a moving-picture camera, and this film always produces roars of laughter. Now, here is where we guessed wrongly. We supposed that whenever and wherever a well-beaten grizzly was turned loose, the angry animal would attack the lynching party. But not so. When Mr. Jones’ chastened grizzly was turned loose, it thought not of reprisals. It wildly fled to the tall timber, plunged into it, and there turned over a new leaf.